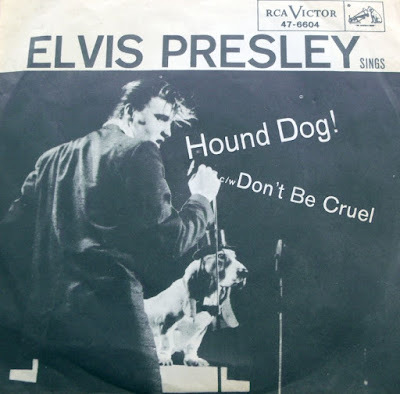 "Hound Dog" was written by the great songwriting duo of Jerry Leiber and Mike Stoller. This song was originally recorded by Big Mama Thornton in 1952. Elvis Presley first heard the song when he was working in Las Vegas in 1956. A group called Freddie Bell and the Bellboys did the song onstage, and Elvis thought it was fun. 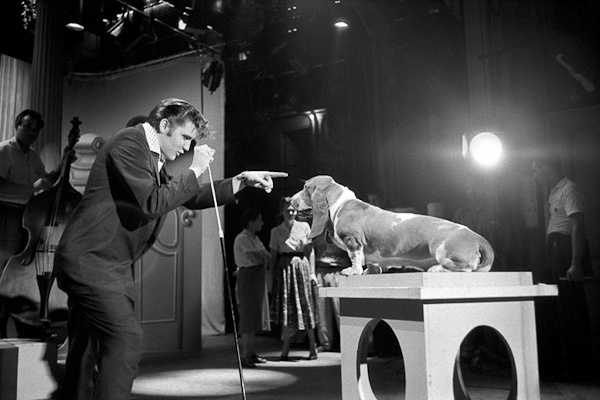 When Elvis was asked to appear on The Steve Allen Show, he was talked into singing the song directly to a Basset Hound. In the video Elvis wears a tuxedo and the hound dog wears a top hat. Elvis thought this was pretty embarrassing, but to his surprise, the song was a huge hit! 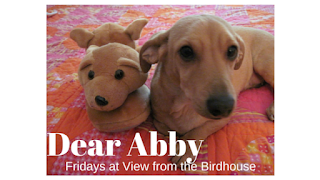 This is a video of Elvis singing to the Basset Hound. This song was released as the B-side on the 45 record "Don't Be Cruel." It went platinum, and was #1 on both R&B and country hit charts. Here is a video of Elvis singing the song in his own rock and roll style. What do you think of this song? I would love to hear from you in the comments. My Mommy loves Hounddog too and so do I.
It’s such a fun song to listen too. Hope you and your Mama have a great weekend and not too much traffic with the Super Bowl there this weekend. I think it's super cute that you search for songs, movies and other things inspired by pups! I never knew so many songs about dogs existed. This is the only one I've personally heard of! I really enjoyed watching this clip. My husband heard that Steve Allen was trying to embarrass Elvis by making him sing to the dog, but I have no idea if that is true. Aliceson, we are avoiding Super Bowl traffic today! Oh how silly of me - I don't know how I managed to not remember this song when you mentioned dog songs the other day!